On 04 December, Professor Murray Fraser will receive the 2018 Annie Spink Award from the Royal Institute of British Architects (RIBA). The bi-annual award is the RIBA’s highest lifetime achievement award for excellence in architectural education. Murray is a qualified architect and academic, who after working in architectural practice began his teaching career at Oxford Brookes University, and after that at the University of Westminster. He took up his current post as Professor of Architectural and Global Culture at The Bartett School of Architecture in 2011 and was made Vice-Dean of Research for the The Bartlett faculty in 2012. Murray is a founding member of the European Architectural Research Network (ARENA), editor-in-chief of the Arena Journal of Architectural Research and general editor of the Sir Banister Fletcher’s Global History Architecture, scheduled for publication in May 2019. 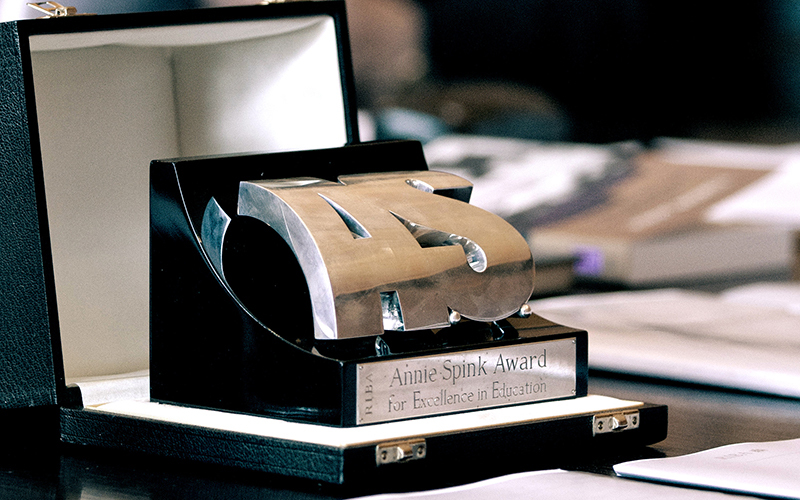 Murray is the second Bartlett Professor in the past two years to win the Annie Spink award. In 2016, Professor Christine Hawley of The Bartlett School of Architecture also received the award for her significant contribution to the advancement of architectural education. “This award means everything to me. Since I began teaching in the 1990s I have worked hard to raise ambitions in design studio and architectural history and theory through a more collaborative and student-centred approach. I have been fortunate to have worked in three excellent architectural schools – Oxford Brookes, Westminster and The Bartlett – alongside brilliant students and colleagues, from whom I have learnt a great deal about being an architect and an educator. This award is as much theirs as it is mine.This award means everything to me. Since I began teaching in the 1990s I have worked hard to raise ambitions in design studio and architectural history and theory through a more collaborative and student-centred approach. I have been fortunate to have worked in three excellent architectural schools – Oxford Brookes, Westminster and The Bartlett – alongside brilliant students and colleagues, from whom I have learnt a great deal about being an architect and an educator. This award is as much theirs as it is mine.